tives and not to the Sheikh. payment) during the period of the suspension. in his becoming obstructive in the future. (4) POINTS ON WHICH DECISIONS SEEM TO BE REOXJIRSD. fluence the decisions in whole or part. 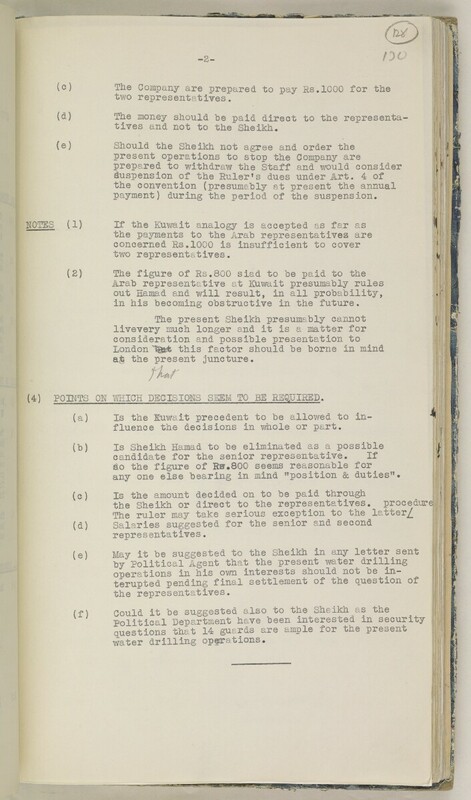 any one else bearing in mind "position & duties"
the Sheikh or direct to the representatives. - • S. ♦ ^ 4~ ^ 4- V.
UiXC OJ-J-C J.XVJ.J. vJm VJ. j.x ovy w WW Wi-xv -C .